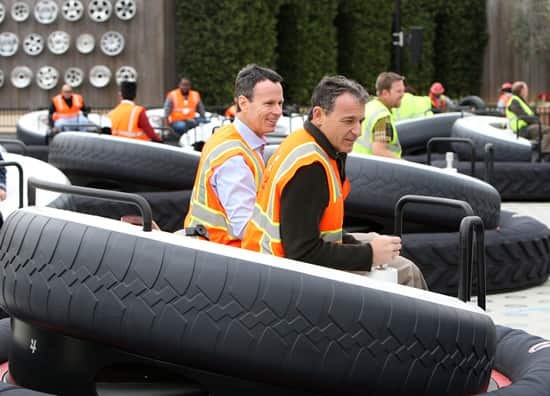 Yesterday, Disney President and CEO Bob Iger and I stepped behind the construction walls at Disney California Adventure park for a hard-hat tour of Buena Vista Street and Cars Land, two of the most significant elements that will cap off our multi-year expansion of the park. Led by the extraordinary team of Imagineers working on this project, Bob and I were completely blown away by the level of artistry, creativity and attention to detail of the work done so far and can’t wait for all of our Disneyland Resort guests to finally experience it firsthand. Our day started on Buena Vista Street where we rode the iconic Red Car Trolley, explored the storefronts that line the street and then continued on to the Carthay Circle Theatre, the new icon of Disney California Adventure park. This new entrance to the park will transport guests to a romantic, idealized version of 1920s Hollywood when Walt and Roy Disney first arrived in California to begin their careers as filmmakers. Buena Vista Street will be the perfect place for guests to shop and eat, watch the parade, or just sit and soak up the atmosphere. Then we headed to Cars Land, and when we got to the entrance of this all-new, 12-acre land, Bob and I both stopped to simply take in the stunning view before us. From the majesty of the Ornament Valley Mountain Range in the distance to the craftsmanship of each of the buildings in Radiator Springs, Cars Land is going to be a truly spectacular addition to the park. We wandered down Route 66 looking at all of the familiar hot spots from the films that are just about complete – Ramone’s House of Body Art, Flo’s V8 Café, the Cozy Cone Motel and Luigi’s Casa della Tires, just to name a few. 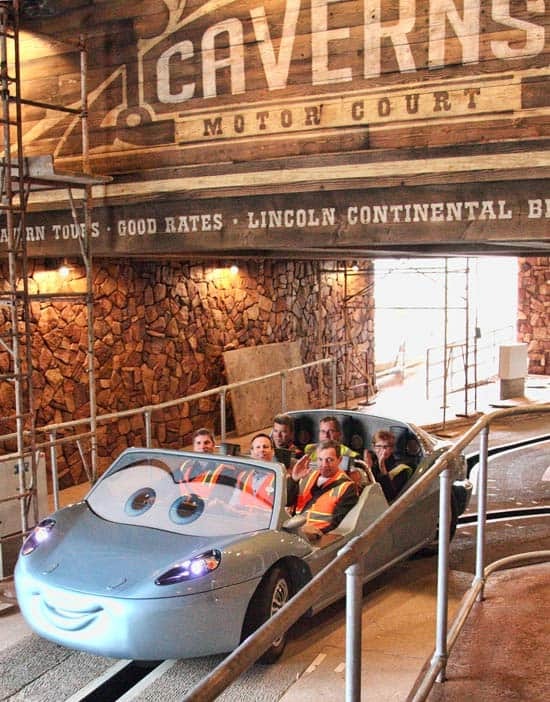 We ended the tour with a test ride on two of the new attractions in Cars Land, Luigi’s Flying Tires and Radiator Springs Racers, which are both going to be huge hits with our guests. 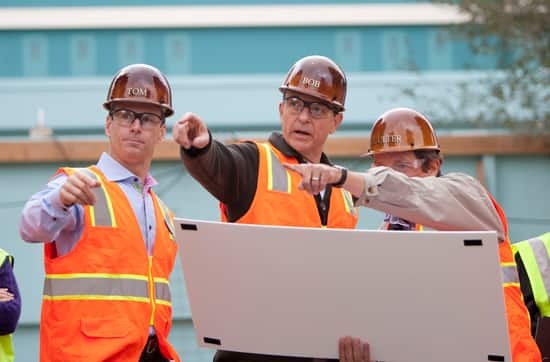 As we approach the finish line of our expansion of Disney California Adventure park, I am extremely proud of the passion, creativity and innovation that have gone into this entire project over the last several years. 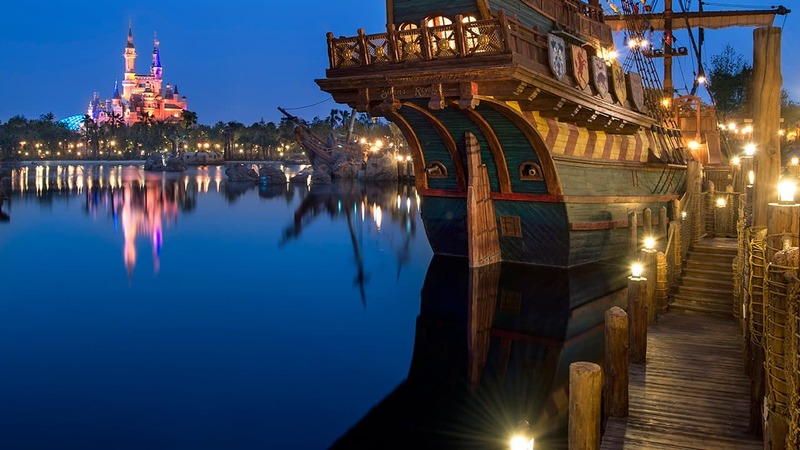 When we’re done, this park will be a testament to what we at Disney Parks do best – connect our guests to the iconic stories, characters and music they love…making memories that will last a lifetime. And now for some big news – I’m pleased to officially announce that the grand opening of Cars Land, Buena Vista Street and Carthay Circle Theatre will take place on June 15, 2012! 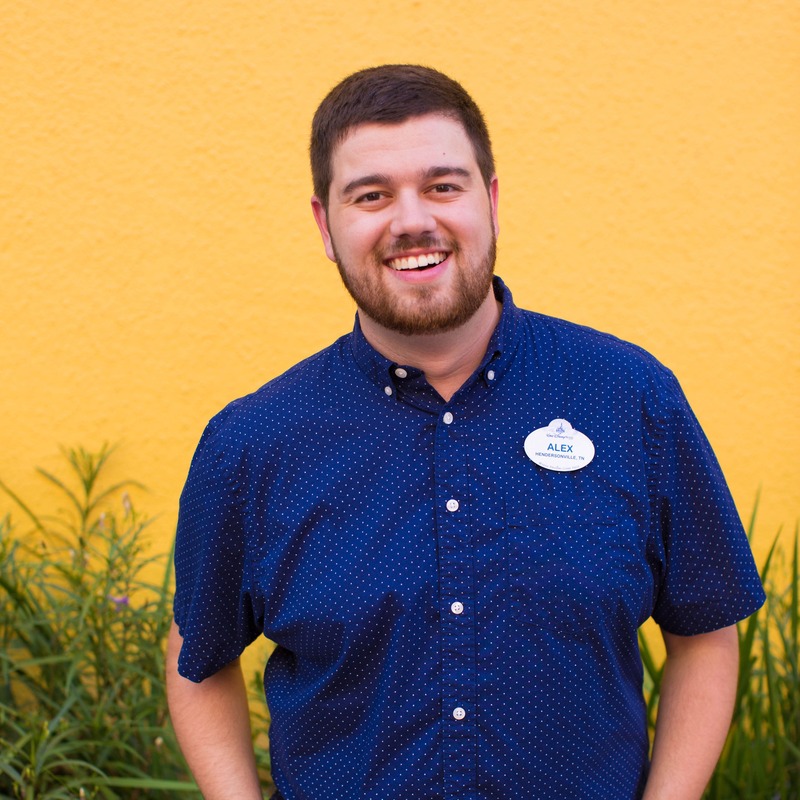 Stay tuned to the Disney Parks Blog for more details. I believe there will be soft openings so that Disney imagineers can complete ride tests before the 15th for MEDIA DAY! then Friday will be a HUGE Day at the park and crazy at that. Yes, Radiator Springs Racers will have Fastpass. Do you know if Radiator Springs Racers will have a fastpass? Thank you for posting the official opening date of Cars Land!! We have a 3 year old who LOVES Cars and we are so excited to take him!! The last two times we visited DCA, it was being built, so this year we decided to wait to make a trip until it is complete!! Am bummed out if the June 15th date holds. 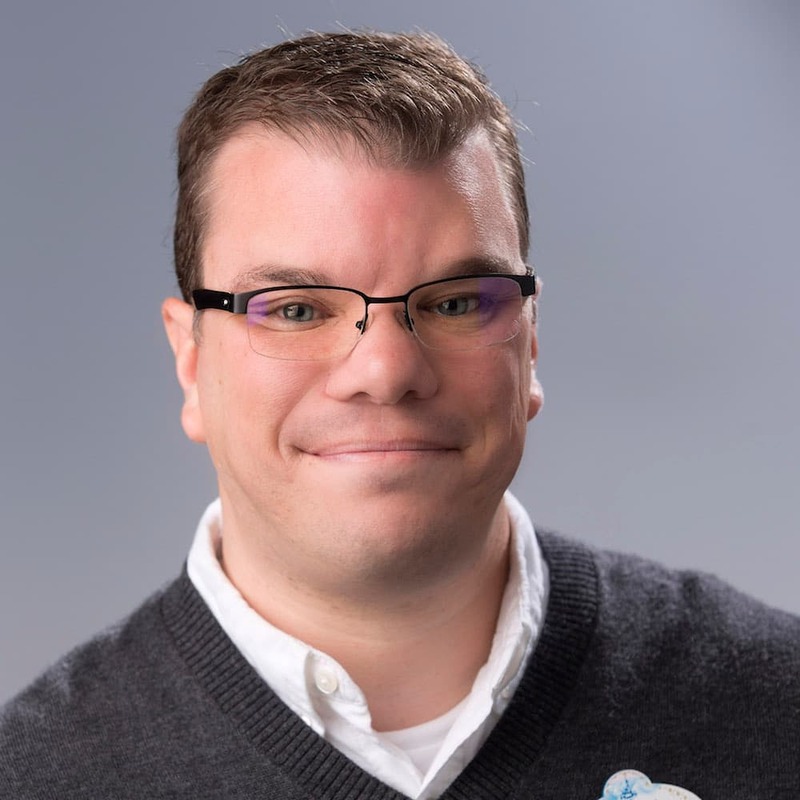 Will be at the Parks June 2nd through the 6th come on Disney do me a solid and open early.